Making this much mess whilst eating is no longer fun when you have to clean it up. 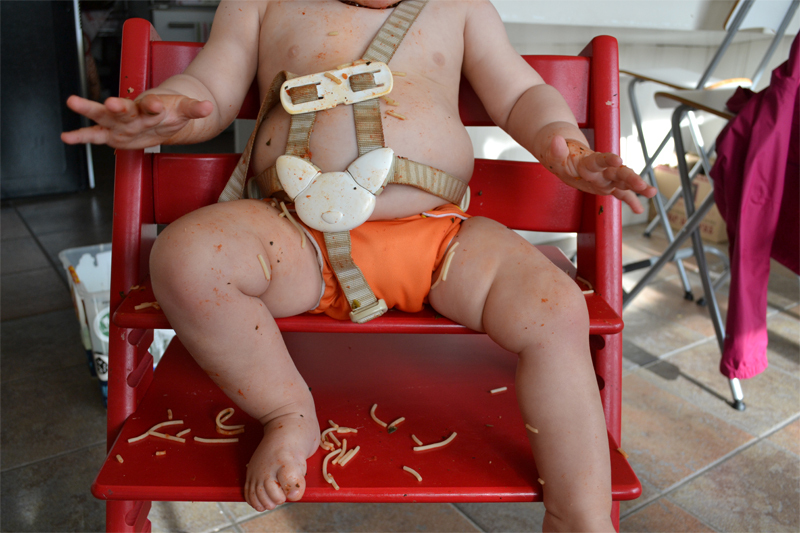 Pity we can't remember the fun of messy eating as babies! 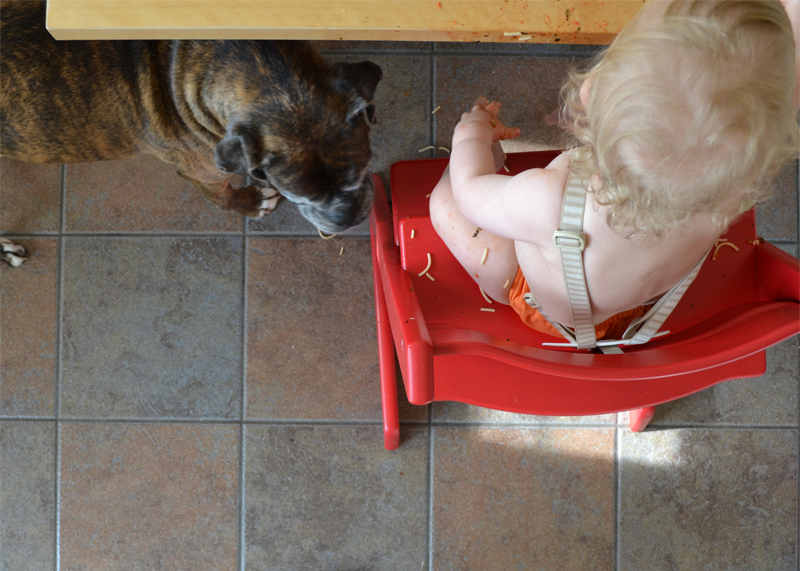 well, your high chair looks sort of easy to wipe down.. plus he's just so cute. Funny what they can get away with because they're cute! 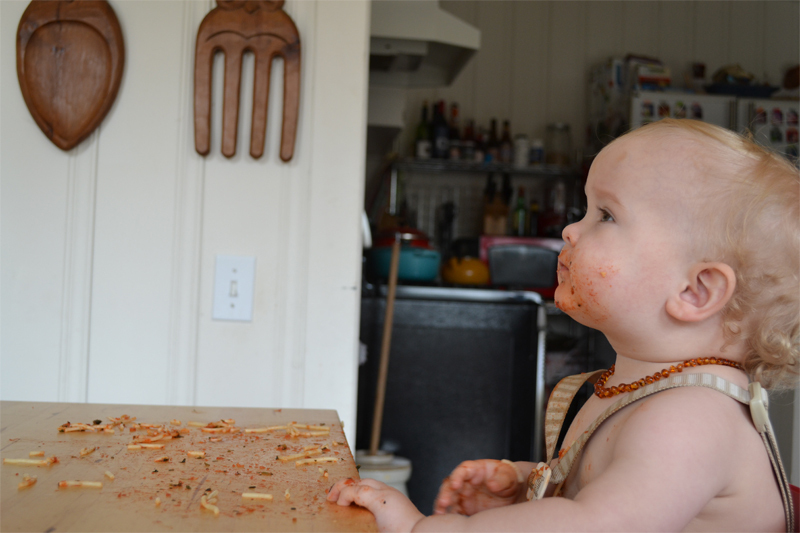 What a little cutie, looks like he really enjoyed his spaghetti, to bad its such a pain to clean up! Look at those rolls! I wish my son liked spaghetti. It is one of my favorite meals ever and he barely touches it when I make it. How cute these pictures are! We had left over spaghetti today too. I always reckon its better next day. My little one wanted me to feed her today though, which is very rare, and also meant a little less mess! Spaghetti leftovers are a winner in our house too - it goes awesome on toast :) I just LOVE messy food photos! On a side note: I notice you have the stokke too. It's an awesome chair hey, we love ours! i love this blog and the cute, simple style..your little one will LOVE looking back on this! Niiiice mess, mister. Would probably earn you a Highly Commended from my girls! This blog is so cute and very simple :) I found your blog through Blog Hop. Ha! I spy your brindle :) I love boxers. You little one is pretty cute too.